« Raider’s recievers are hurtin..
Marcel Reece is listed as the Raiders’ starting fullback on the team’s depth chart. When he’s asked, it’s the position he tells people he plays. He just has an issue with the job title. Reece prefers to think of himself as more than just a fullback. Judging from the way Oakland used him last season, it would be tough to argue. He had three touchdown receptions in 2010, including a 73-yarder and a 51-yarder that both came on screen passes. Reece also played a key role in the Raiders’ backfield as lead blocker for running back Darren McFadden, who helped anchor the NFL’s second-ranked rushing offense. The Raiders made significant strides on offense last season when Hue Jackson served as offensive coordinator. Jackson was promoted to replace coach Tom Cable in the offseason and has picked up where he left off while trying to build on the momentum gained from Oakland’s 8-8 finish. While the team has numerous questions along its offensive line, most of the skill positions are set. That includes the 6-foot-3, 240-pound Reece who is only slightly bigger than the two running backs he’ll be blocking for this season: McFadden and Michael Bush. 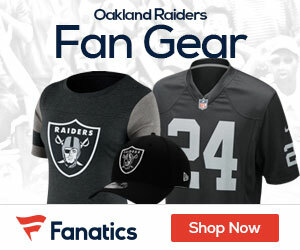 Reece’s versatility as a blocker, receiver and runner – he carried 30 times for 122 yards and a touchdown – earned him a bigger role in the Raiders’ offense than the fullback has traditionally had. It also helped add a new wrinkle to Jackson’s offense, one the team hopes to exploit more this season. Few players at his position were as productive as Reece in 2010. His 25 receptions, 12 of which resulted in first downs, led fullbacks last season. Reece’s rushing total was more than any Raiders fullback since 2006.